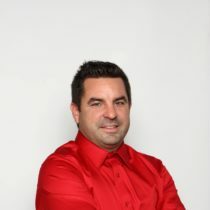 François Fortin, installer and distributor for the Saguenay region, offers professional and courteous services! François Fortin knows metal well! His prior experience in the metallurgical field gave him knowledge he could put to good use as a Pro Post Foundations installer and distributor. A professional welder, François worked as a welder-fitter for 3 consecutive years before moving on to a job as a steel erector. He is both a certified welder and ventilation tinsmith. During all of those years, however, François had only one dream: to become an entrepreneur! Ready for new professional challenges, François became a Pro Post Foundations installer and distributor 7 years ago, and has since offered his outstanding services throughout the Saguenay region. If you ask François what he thinks of our products, he will tell you that they are sturdy, durable and resistant. François says we offer high quality products since they are certified by the Canadian Construction Materials Centre (CCMC). Indeed, our screw piles have scored the highest results on the CCMC’s resistance tests! What are the advantages of using Pro Post Foundations screw piles? Of all the products currently on the market, ours offer the highest load bearing capacity, resistance to frost and tensile strength says François! Why are our piles more resistant to frost? It’s very simple. Our piles are always driven down below the ground’s frost line. That is why they are able to prevent vertical structural movement.